About who we are and more. We are people who have benefitted very much from guidance given by Shri Mataji Nirmala Devi. We tried out a range of methods, which Shri Mataji recommended for improving our lives. There was a mix of attention to meditation, yoga, health, lifestyle, philosophy, religion and human evolution. Whatever we have understood or experienced, we can try to pass on some of the benefits or the knowledge to others. We are not employed as teachers or trainers. In a way, nobody can teach these things because the processes involved are living, natural and born within human beings. They are not rational, mechanical, informational, ritualistic or political. Shortly before India achieved its independence in 1947, Nirmala Salve married Chandrika Prasad Srivastava, a high-ranking civil servant, who later served as a Joint Secretary to India's Prime Minister, Lal Bahadur Shastri. They had two daughters and, after both had grown up and been married, Mrs Srivastava started to spend time lecturing about spiritual matters and giving practical instruction. She travelled extensively and came to be loved by thousands of spiritual seekers around the world. Shri Mataji was twice nominated for a Nobel Peace Prize. She was regarded by many as a completely divine personality but was frequently opposed by conventional religious figures, by moneymaking gurus and by the media. Shri Mataji passed away in 2011. 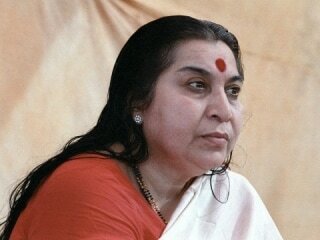 Many speeches by Shri Mataji can be found on the Vimeo and YouTube websites. Searching Google for the keywords Sahaja Yoga will also find references to Shri Mataji. In the past, these topics were not well understood. Sometimes a long journey was mistaken for a destination or it was a movement in the wrong direction. Often arbitrary, rational or highly controlled disciplines were followed, instead of relying on natural processes. People went to various extremes and became damaged. Whatever people tried or practised, there were difficulties, misunderstandings and mistakes. People would invent new ways to 'do yoga' or to 'do meditation'. Many people still try that. 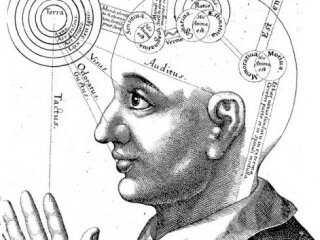 A common sense understanding about life and human development was lacking. ​However, in modern times, there has been important evolutionary progress. The goal is now much closer and the path is easier to follow. We are here for that. "But the most dynamic power in the world is that of love." "Nothing you can do but you can learn how to be you in time. News June 2017: The above YouTube video has been blocked and will not play. If you are confident about your anti-virus software, try the next link instead. Loading of the video is a little slow at the start but it is worth the wait.